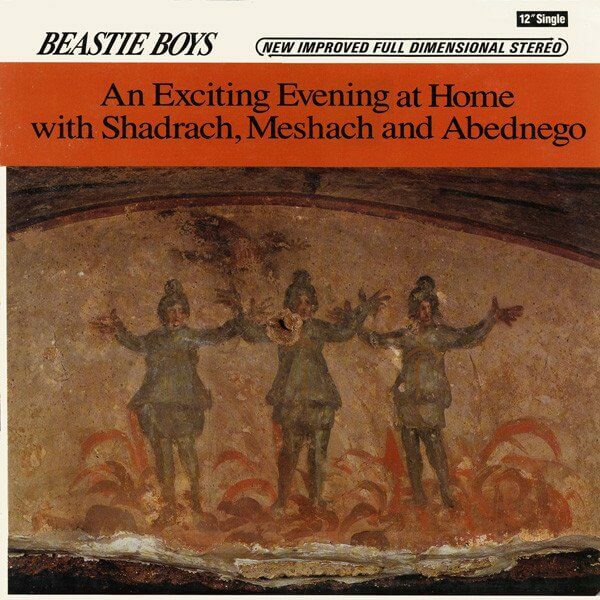 “Shadrach” is a song by the Beastie Boys from their album Paul’s Boutique. Released on October 30, 1989, it was the final single released from the album. The song refers to the Biblical story of Shadrach, Meshach, and Abednego and the fiery furnace in the Book of Daniel. However, the lyrics “Shadrach, Meshach, Abednego” in the track are used and sampled from Sly Stone’s “Loose Booty”, where they are repeated and spoken rhythmically throughout the track in an almost rap-like form. In verse two, the lyric, So I’m out pickin’ pockets at the Atlantic Antic, refers to an annual Brooklyn street festival of that name. Also in the song is a reference to the AC/DC album For Those About to Rock (We Salute You), in the lyrics “For those about to rock we salute you”.